On initial inspection the Think Tank Photo CityWalker 30 is one of the largest bags in this round-up, but also one of the lightest. Made from light and durable material, it allows for easy handling of equipment, without needing to compromise on space. Notably it is ideal for carrying lots of kit on outdoor shoots. 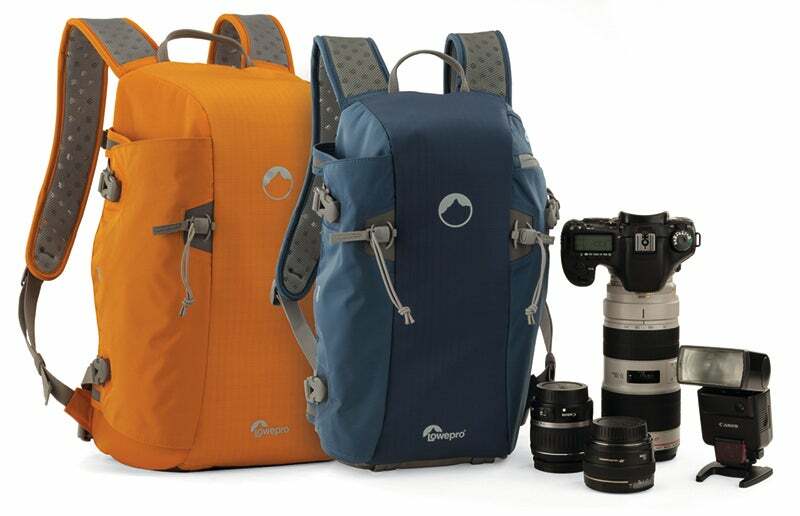 It sports a comfortable ergonomic shoulder strap and well-designed compartments which can fit a laptop, an SLR, a range of different sized lenses and other accessories. The adjustable compartments, each separated by “sound silencer” Velcro, are a nice feature for the photographer who wishes to be discreet when rearranging their kit. It also comes with a small weather cover offering further protection for kit. The LowePro Messenger 160W also features a rain cover, but the City Walker 30’s additional weather pouch allows a much faster and easier solution for those in a hurry. Overall, the CityWalker 30 offers many practical solutions to travelling with expensive gear, and is great if you have a lot of photo kit. Although weighing 1.6kg, Vanguard’s The Heralder 33 messenger bag uses the space it has to its utmost potential. A photographer can fit a great deal into The Heralder 33 without it feeling overly heavy or bulky. Featuring a range of padded compartments, the equivalent of which feel as though you’re wrapping your equipment in bubble wrap, The Heralder 33 is the best in the round-up for offering protection and organisation. Alongside the padding, the tightly secured adjustable compartments hold all your kit securely in place. Also featured are pockets and zips to place accessories, memory card pockets at the top, and a laptop compartment. Personal belongings also sit easily alongside the kit, clearly separated by compartments. Designed for easy access The Heralder 33 has a zip at the top, which allows you to reach into the bag and find equipment without having to open it. Though it’s not the most lightweight, it offers a great deal of protection and storage solutions. 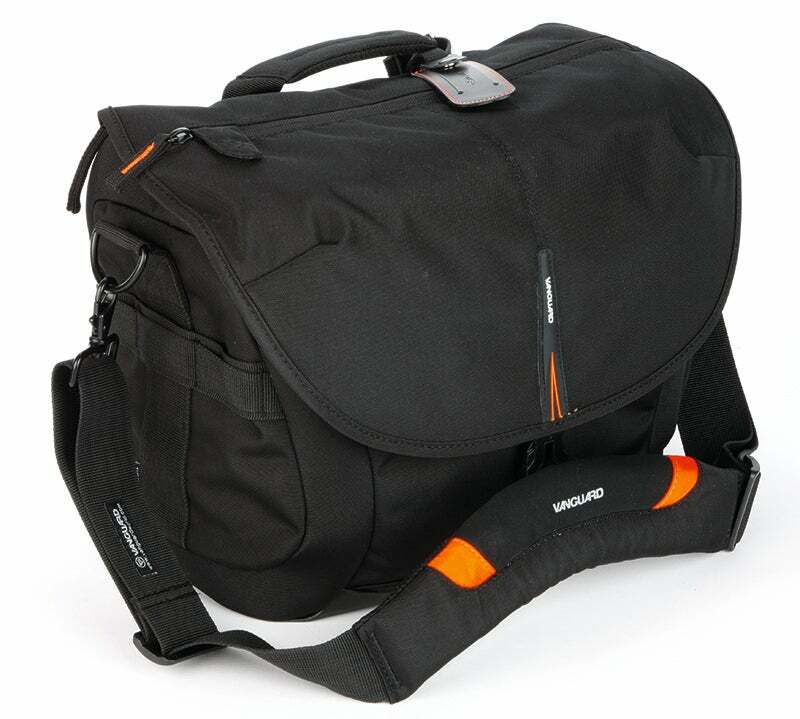 Manfrotto’s Stile Unica VII messenger bag is incredibly light, at 1.1kg. It features an internal tripod compartment, and you can redesign the inside according to the equipment you have. Offering peace of mind, the bag’s adjustable Velcro straps can be altered and moved for larger or smaller equipment, in order to ensure everything is protected. There’s a specific compartment for your laptop which is securely held in place by a Velcro strap. Adding to this, the well-padded interior has a removable inner pouch at the bottom, which allows extra room for bigger equipment. The bag is incredibly well organised and includes a selection of different sized pockets for memory cards, battery chargers and pens. Suitable for airline carry-on, the bag is ideal for shooting or carrying kit abroad. It doesn’t come with a weather cover, however its material is water repellent and comes with a specially applied coating to the fabric which keeps it resistant to moisture. At £59, the Unica VII is the best value for money in this round-up. 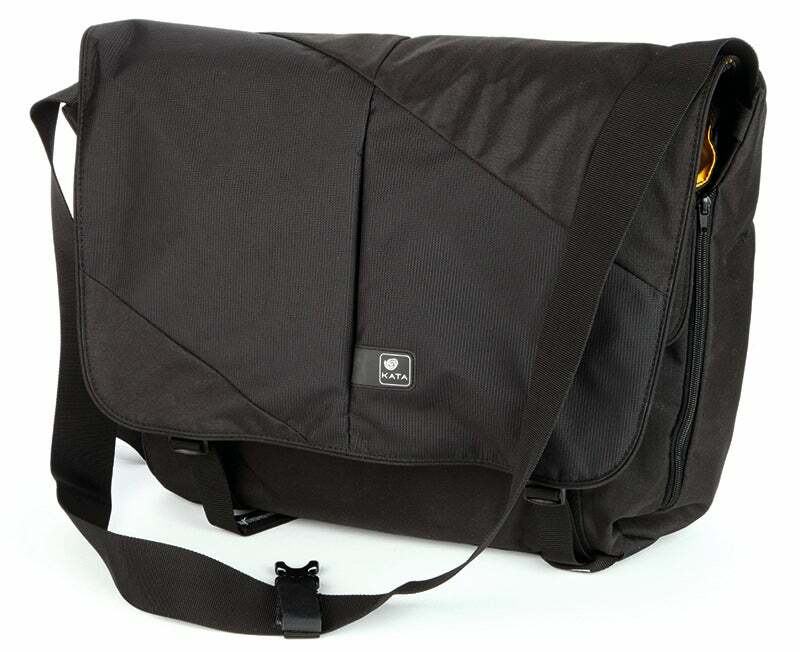 The Kata Orbit-130 DL is an incredibly convertible, notably light messenger bag. Offering various ways of adjusting the interior, it features a removable insert with customisable dividers thereby offering great protection for more fragile equipment such as cameras and lenses. The inclusion of the rear padded compartment, which can fit up to a 17in laptop or tablet, really makes the most of its space. In addition the Kata is the only bag to combine everyday life with shooting as the messenger bag doubles as a general shoulder bag. Removing the interior, which is extremely easy to adjust and secured by Velcro, makes room for personal belongings, making it the most user-friendly messenger bag here – even more so than Manfrotto Stile Unica VII. Made with weight-reducing Aerifoam foam, the bag is designed for travel and you can buy the Insertrolley if you want to trolley your messenger bag around. lts shoulder strap is hard to adjust though and is not padded, making it less comfortable to carry for long periods. 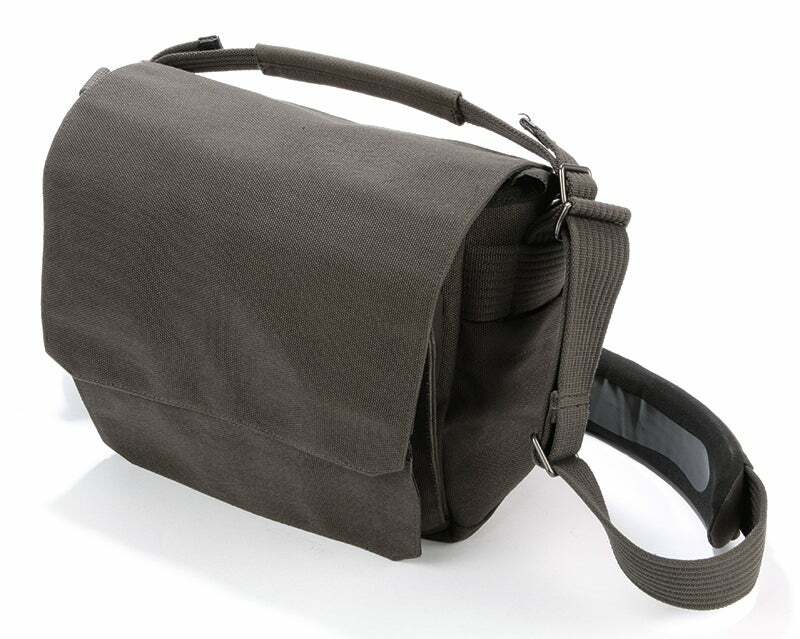 This is an acutely compact messenger bag, which is suited to being on the move. Making up for its small interior capacity, the Lowepro Messenger 160W offers several clever and discreet storage designs. Its dual-purpose pocket can be unzipped in order to have a travel-friendly trolley sleeve, whilst it also has a well-padded shoulder strap designed for long periods of carrying during shoots. Although weighing roughly the same as the Think Tank Photo CityWalker 30 the the CityWalker 30 can hold a great deal more. For example, although the Lowepro’s camera compartment can be adjusted with Velcro in order to fit a larger camera in, it’s still a very snug fit for an SLR. There also isn’t room to fit a larger laptop or tripod, although it could possibly fit smaller tablets. 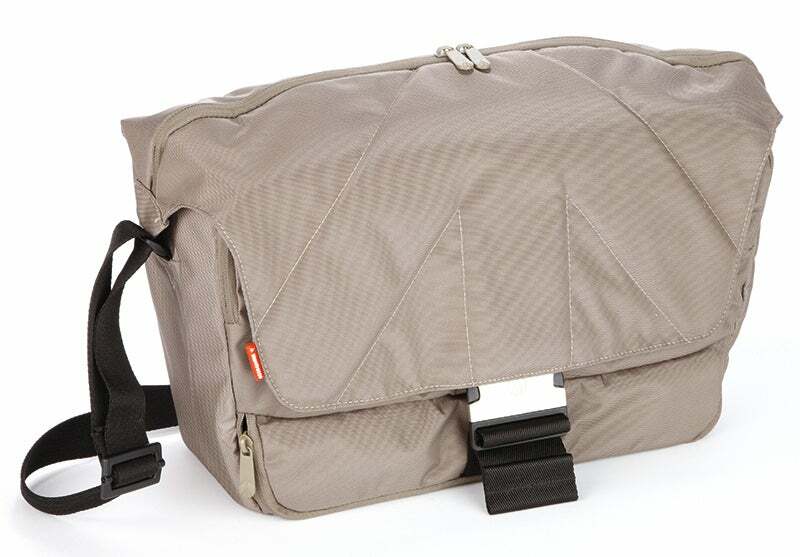 Given this, the Messenger 160W is best suited for carrying camera accessories. Offering several pockets for lenses, filters, chargers and the like, it is very well designed for storing accessories, but its weight lets it down for travelling. Even though the Crumpler Jackpack 7500 is the largest messenger bag in the Crumpler range, it is by far the smallest in this round-up. 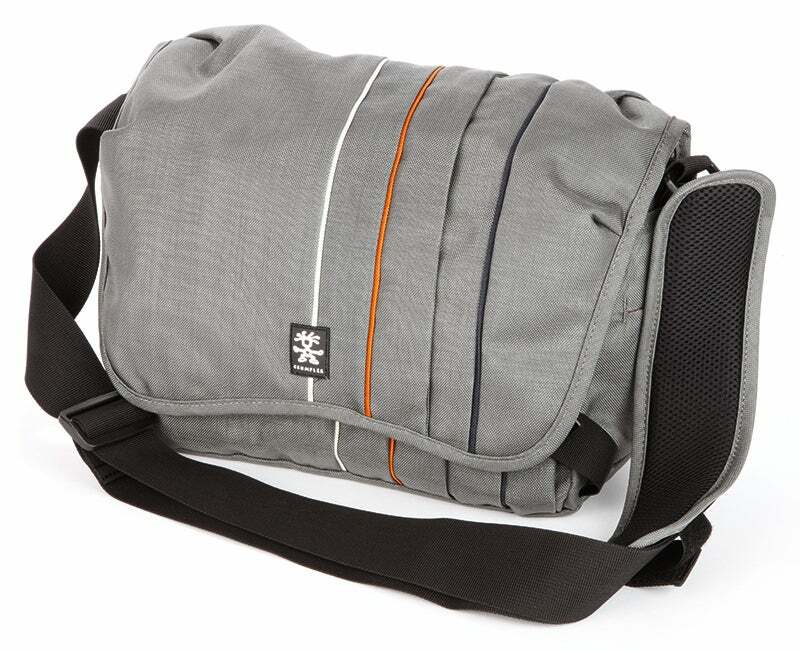 Unsurprisingly this makes it an incredibly lightweight and compact messenger bag. It has the smallest interior and as a result is not intended for shoots needing a lot of equipment. It is, however, spot on for short trips away with a compact system camera, or a DSLR with one lens. That said, no space is left unused making it the most economical of all the messenger bags here. The Crumpler is also a brilliant accessory bag – featuring a range of pockets for small accessories such as filters and chargers. Discreet external zip pockets in the top of the bag provide easy access for the photographer. A nice additional feature is that all Crumpler bags are handmade, which is shown through its well-thought out design. Easy to travel around with, and with a very soft interior, the Crumpler Jackpack 7500 is a great messenger bag for a photographer travelling with less kit. While a backpack is still the first choice for carrying a lot of kit comfortably thanks to the even distribution of weight across your shoulders, you won’t always want to drag a stack of lenses and other accessories with you. And as the gear is on your back, you don’t always have quick access to your kit if a shot presents itself. 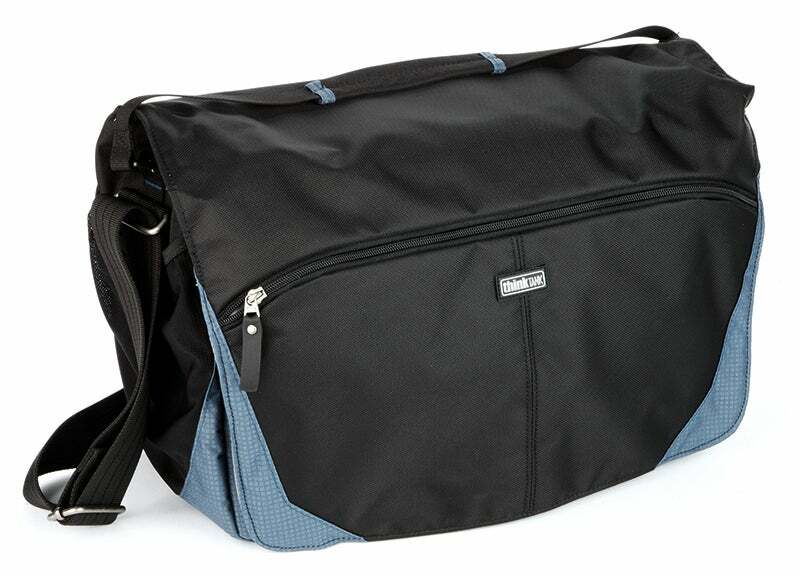 Shoulder bags, particularly messenger-style ones, are a great solution when you want to travel light. Offering decent protection for your kit, they provide quick access on the move, while their understated designs make them great for urban environments and travel shooting. Most bags accommodate a decent amount of kit plus a laptop or tablet and other bits you might need over a day’s shoot. And while you’ll be carrying kit on one shoulder, messenger bags have comfortable padded and adjustable shoulder straps. Backpacks: Allow you to take lots of gear in relative comfort for long periods. Great for hiking around. Sling bags: Somewhere between a backpack and a shoulder bag, these are single-shoulder backpacks that can easily be pulled to the front to access gear. Hard cases: For ultimate protection, they provide excellent safety for your kit, but can be unwieldy and heavy to transport.